Next up on our Song-By-Song preview is the official entry from Georgia, “For You” by Iriao (full name Ethno-Jazz Band Iriao), music by David Malazonia and Mikheil Mdinaradze, lyrics by Irina Sanikidze . The song is performed in Georgian. As indicated by their name, the band performs ethno-jazz numbers, which for those of us who aren’t sure what that means is a combination of traditional Georgian polyphonic harmonies and jazz. 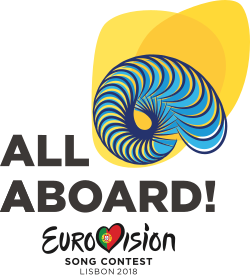 The song will be performed 10th in the competition order on the second semi-final on May 10. I really want to like this song more than I do. I love the vocals, and the harmonies are exquisite in several places. However, several times there’s a huge swell of music…and then they don’t follow through on it, falling back to a softer sound. Maybe this is what traditional Georgian music is, but I’m not used to it. The rather stark performance-style video is nice, but a little TOO stark for my tastes. The band deserves the success they’ve found in the musical circles they inhabit, but I don’t think it’s going to translate well to other audiences, be it EuroVision or the US charts. Georgia made their debut in EuroVision in 2007, and have placed in the final eight of the ten times they’ve participated. Their best showing has been ninth place. They ended up withdrawing from the 2009 contest due to controversial lyrics of the chosen song, which referenced the then-Russian Prime Minister, Vladimir Putin; they refused to rewrite the lyrics as requested by the European Broadcast Union.